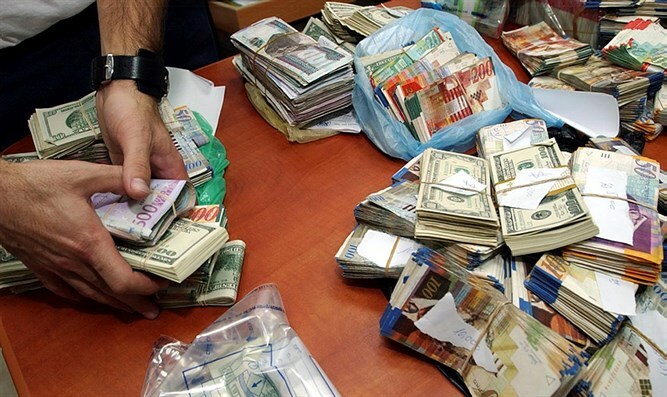 MainAll NewsDefense/SecurityWhat does Israel do with money confiscated from terrorists? What does Israel do with money confiscated from terrorists? Deputy Defense Minister reveals how Israel put millions of shekels in confiscated terror funds to use. In fighting the war on terror, Israel regularly seizes the assets of terrorists and terror groups, taking in, among other things, millions of dollars in terror funds. But once the money has been confiscated, what does Israel do with it? Deputy Defense Minister Eli Ben-Dahan (Jewish Home) recently revealed how Israel puts money taken in from terrorists and terror groups to good use, following an inquiry by Joint List MK Hanin Zoabi, a pro-Hamas firebrand once arrested for assaulting a police officer, sailed on the infamous Mavi Marmara and in 2014 was suspended from the Knesset over her explicitly anti-Israel incitement. In posing her question, Zoabi also argued that the confiscation of terrorists’ property was illegal. In his response, Ben-Dahan explained that money confiscated from Arab terrorists in the Palestinian Authority was put back into the local economy, funding entrepreneurs working to benefit the PA population. Ben-Dahan also pointed out in his letter that the Supreme Court had upheld the legality of the policy, rejecting three separate appeals.